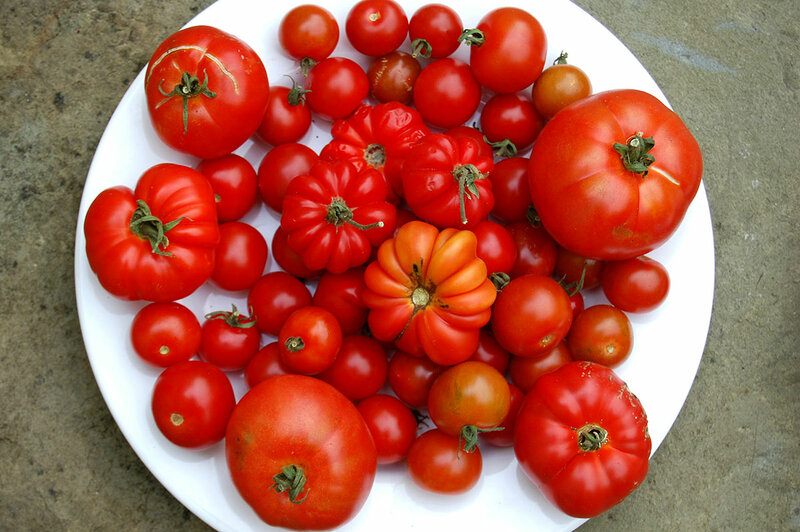 We picked the last of our tomatoes this weekend – the sweetest of the summer. Whenever they taste this good, I’m reluctant to cook them and instead eat them raw in salads or stir them into just-cooked pasta so their flesh slightly softens in the heat. Any leftover tomatoes I will slow roast with olive oil and thyme, and store them for the coming months. Unlike the fresh ones, these can be used almost like a seasoning, to impart a deep, savoury flavour to casseroles and soups, in the same way you might use anchovy to season the base of a dish. The flavour becomes almost indistinguishable but adds to the dish as a whole. The Japanese call this fifth flavour umami. Bottarga is an ingredient which is packed full of umami. I always keep some to hand and it’s the ultimate store cupboard luxury. Not only does it keep for ages in the fridge, because it’s cured, but just grated, mixed with lemon, oil and chilli and served with spaghetti it makes one of the simplest, yet delicious suppers. 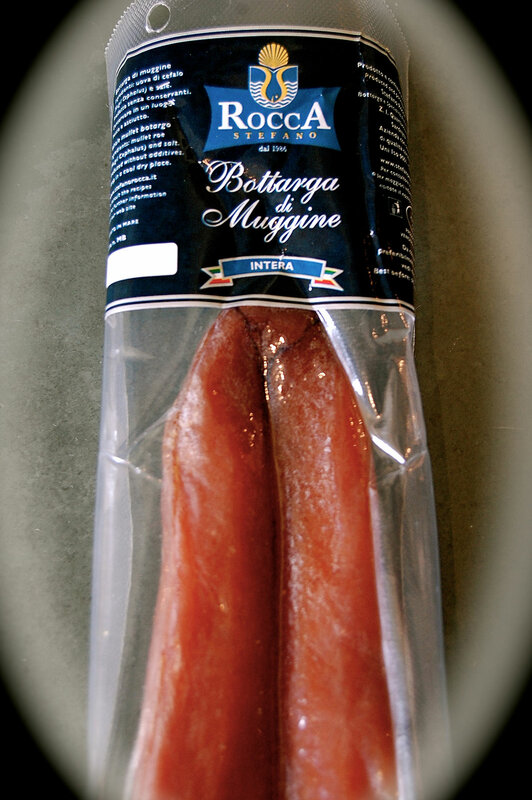 If you haven’t come across it before, bottarga di muggine is the cured roe of grey mullet. It is salted, dried and pressed into sticks, which can then be sliced or grated, and sprinkled over or mixed with other ingredients. The flavour is intense, creamy, salty and delicately fishy and the colour ranges from deep golden to burnished orange-red. This Mediterranean ingredient has been produced for centuries and appears in the cooking of Southern France, Italy and Spain as well as Greece and North Africa. `We now tend to associate it with southern Italian, Sicilian and Sardinian cooking more than anywhere else. Some of the ways they eat is there is as a sauce for pasta, sprinkled over clams with fregola (a type of large couscous) or made into a paste to spread on crostini. It is also good sprinkled over scrambled eggs, in fish risottos and used to dress vegetables. Think of it as the parmesan of the sea. When bottarga is grated and mixed with lemon juice, the golden flakes melt. If you then add olive oil and stir it well, it will become an emulsion, like a mayonnaise. I usually add a little dried chilli to this, stir in a tablespoon of pasta cooking water and it becomes a sauce to dress the pasta with. For this recipe, I added chopped parsley and the sweet tomatoes then sprinkled sourdough breadcrumbs, toasted with oil, over the top for some crunch. Stir the grated bottarga with the lemon juice so it becomes a paste. Add the oil and chilli, stirring, to make a sauce. Cook the pasta in plenty of boiling, salted water until al dente. Drain, reserving a few tablespoons of cooking water. Return the pasta to the empty cooking pan and add the bottarga sauce, the chopped parsley and tomatoes and season with salt and pepper. Return to the heat for a few seconds and mix together well, adding some of the cooking water if it is looking dry. (The juice from the tomatoes as they soften should help to keep it wet). When everything is well mixed and glistening, put the pasta into a serving bowl and sprinkle the toasted breadcrumbs over the top. Pour over a little olive oil to serve.